There’s a new healthy rice substitute that is SP friendly*. With just a few simple ingredients and little effort to prepare, our zucchini rice recipe is the side dish you’re going to be making all summer long. 1. Grate the zucchini on the coarse side of a box grater. Squeeze the grated zucchini with your hands and drain off the excess liquid. 2. Add the salt to the zucchini and toss to combine. Transfer to a strainer and drain, squeezing occasionally, for 15 to 20 minutes. 3. In a large sauté pan, heat the olive oil over medium heat. Add the onion and sauté until translucent, 4 to 5 minutes. 4. Add the garlic and zucchini to the pan, and cook until fragrant, 1 to 2 minutes. Stir in the cheese until combined, and season with salt and pepper. Pick the basil leaves off the stems; discard the stems. Wash and dry the basil leaves. Thinly slice the cheese into large pieces. Lay the bread slices on a clean, dry work surface. Divide the cheese slices and half of the basil between 2 of the bread slices; Complete the sandwiches with the remaining bread slices. Spread 1/4 of the butter on each of the top slices of bread. Heat a griddle or fry pan on medium until hot. Add the sandwiches (butter side down) and cook 3 to 4 minutes on the first side, or until golden brown and crispy. Add the remaining butter on the unbuttered bread and carefully flip the sandwiches. Cook 3 to 4 minutes, or until the cheese has melted. Transfer to a clean, dry work surface. Cut the cooked sandwiches in half and divide between 2 plates. Serve with Easy Tomato Soup on the side. Enjoy! 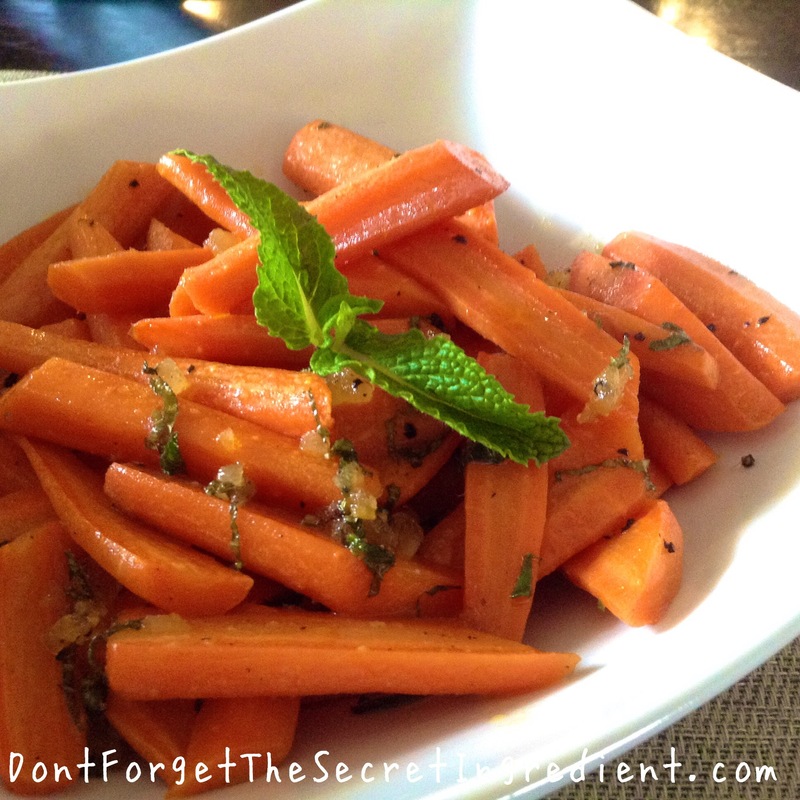 Carrots are rich in beta-carotene and that translates to “good for the eyes”. That same beta-carotene found in carrots also acts as an antioxidant to cell damage so it helps slow down the aging of cells. Carrots are also rich in Vitamin A that protects the skin from sun damage, prevents premature wrinkling, acne, dry skin, and uneven skin tone. Carrots reduce the risk of lung cancer, breast cancer and colon cancer. Carrots have not only beta-carotene but also alpha-carotene and lutein. Studies show that diets high in carotenoids are associated with a lower risk of heart disease. In addition, a Harvard University study showed that people who ate more than six carrots a week are less likely to suffer a stroke than those who ate only one carrot a month or less. Conclusion: Eat more carrots! Here’s a delicious way to enjoy them. Carrots, seasoned with sweet and spicy crystalized ginger, glazed in butter and honey, are a beautiful accompaniment to roasted chicken or even lamb. Use a fragrant honey, such as orange blossom, thyme or tarragon. 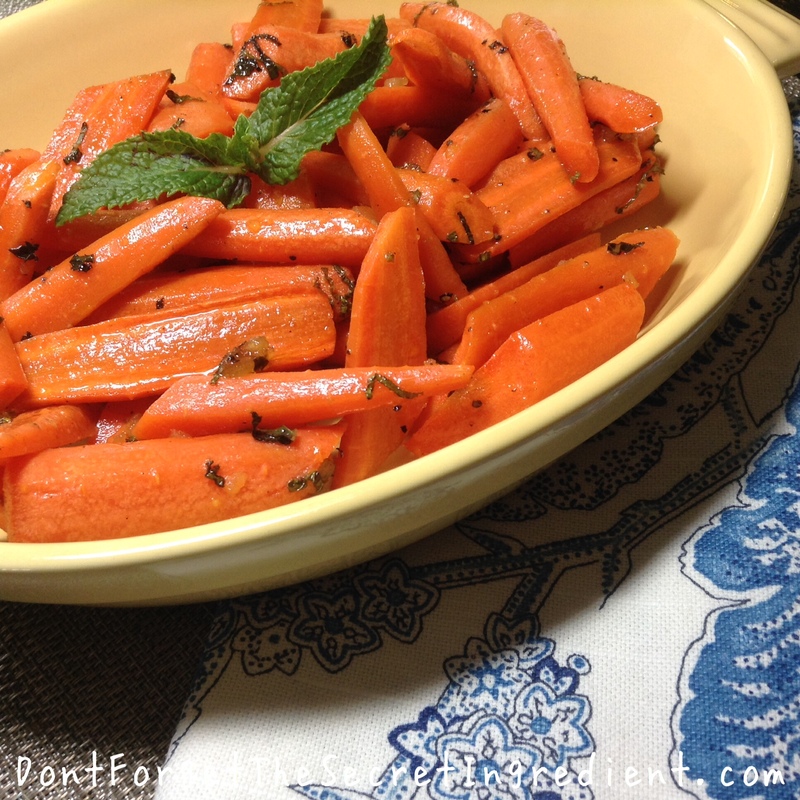 If you cannot find baby carrots, peel and cut slender full-size carrots into 2-inch lengths.